If You Don't Do It Now, When Will You Do It? 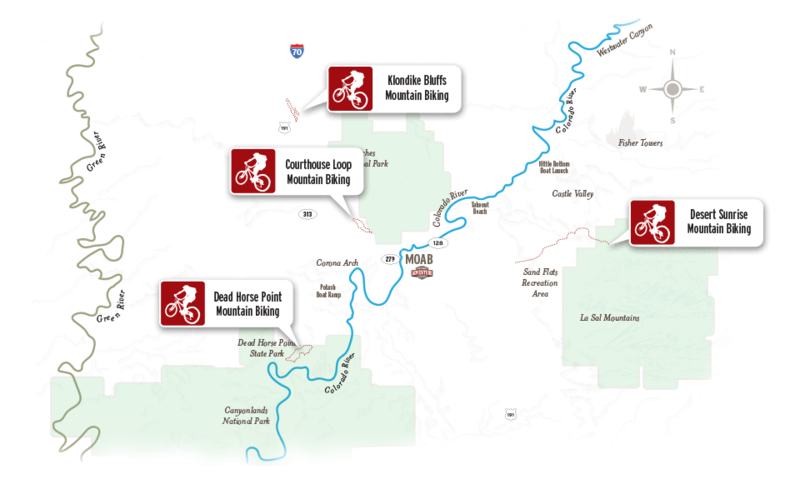 A classic intermediate ride showcasing both slickrock riding and some of the area's premier dinosaur tracks embedded in rock. 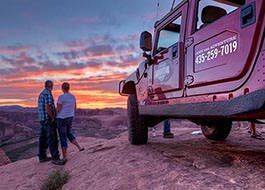 Klondike Bluffs is a great introduction to Moab's famous slickrock terrain. 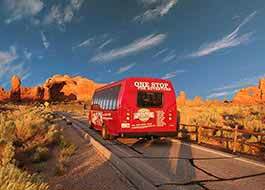 The ride begins with a climb out to the edge of Arches National Park. The pace of the climb allows the group to view dinosaur tracks along the route. (It also gives us a reason to stop and catch our breath while we take a closer look.) 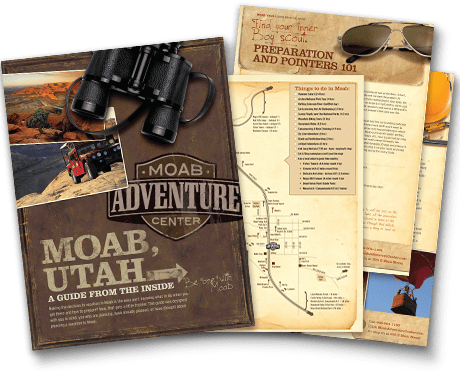 At the top, the half way point, we will leave our bikes for a short hike into the park and to breathtaking views of the red bluffs and arches below. It is also possible to see views of Devil's Garden in the distance. The ride back is mostly down hill with lots of dips and rolls. Great Fun! We had a great time on the Mountain Biking- Klondike Bluffs Tour. Even the gal at the counter helped answer all of our questions and made a great recommendation. Carl was a great guide, he had great tips and instructions throughout the bike ride. He was pleasant and gave us lots of information about the area.